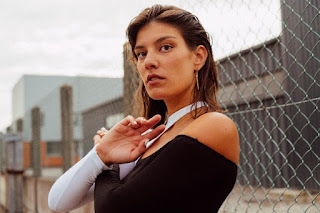 Background - Through a sensual and sultry track impregnated as much with Solange, Air or even Portishead, Praa questions our human connection about the - mostly - virtual relationships we maintain through our screens. An illness, symptom of this generation that is the namesake of this song ‘Y’. Marion Lagassat, is the real name of singer, musician, composer Praa. She was born in the sunny Southern-French town of Valence. A child of the 90’s born to music-loving parents, she was exposed early on to Brit-Pop sounds and American Folk and grew up with the beats of 90’s RnB. Greatly influenced by Hollywood cinema and conceptual art of the 70’s - 80’s, it was only natural for her to fly to Los Angeles upon turning 18. Radio airplay and noticed covers on Dailymotion at the age 16 were already promising signs for her future. Through her first Folk project she managed to tour her home country opening for such acts as Angus Stones, Tété, Arthur H… In parallel, she joined a pysch-rock band playing the organ. Her unlimited passion and curiosity most certainly nurtured her rich and original musical eclecticism. Under her new alias, she imposes a modern neo-soul, ambitious yet light. Taking in the styles of NAO, Jorja Smith, Portishead and injecting a French swagger, commanding her great ability to synthesize all of her influences to emerge free and uniquely her own. Praa tracks traverse RnB to evanescent Trip-Hop and even 90’s New Jack. All based around a sparse and minimalist production sound halfway between electronic and organic, jumbled with French savoir-faire. A universe textured with rich vocal work and from which unfolds a fan containing the warmest of melodies. With only two singles, the Frenchwoman has made her spot in the French musical landscape. FACEBOOK. It was back at the end of last year when we shared 'Modeling Clay' by Praa and the new track 'Y' is another gorgeous piece. The vocals are sultry and intimate and the layered musical backdrop warm and enticing, put together this is a smooth, rich and hook laden song. 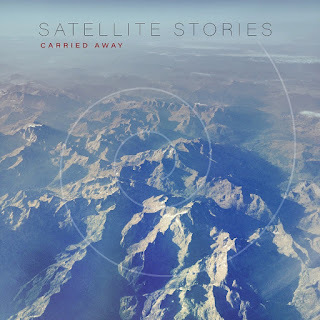 Satellite Stories - Cut out the Lights. Background - The fifth and final Satellite Stories album Cut Out The Lights is out now via Playground. As fans around the world digested the news, the blow was considerably softened when they heard the first taste from Cut Out The Lights, ‘Coupons’ – with Clash Magazine proclaiming the track “A fizzing, cracking, explosive return.” Next, the single from the album, ‘Carried Away’ was released and singer Esa Mankinen told us "Carried away is a song about losing track with reality, but also realizing that's part of life". The final chapter in their story has been announced in the form of new video for the title track 'Cut out the Lights'. The band set off on their European Farewell Tour earlier this week and head to the UK on October 15th for a show at the Lexington in London. 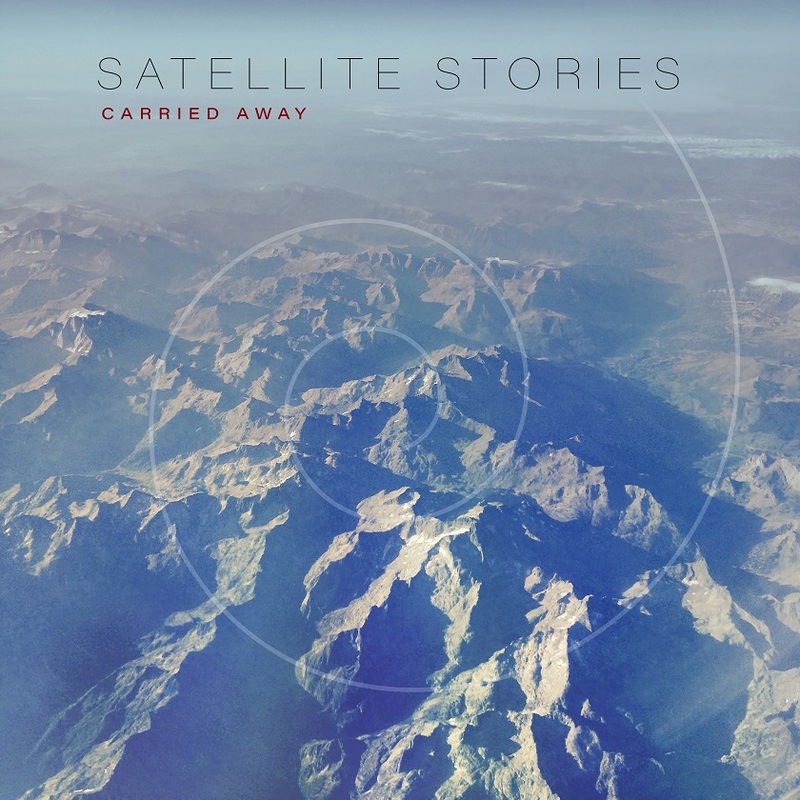 Satellite Stories are Finland's biggest and most successful indie act ever, with over 60 million streams worldwide, having appeared at over 300 headline shows, in no less than 17 countries spanning 3 continents. ‘Cut Out The Lights’ is an album where the band have taken the decision to self produce, to maintain complete creative control and make certain the ideas come across fully in the manner they wish. “It is all on us again now, which is a position we love, the challenge is immense, we have put everything into this record, a full year in the making,” says lead guitarist Marko Heikkinen. TWITTER. Satellite Stories are going out in style as 'Cut out the Lights' amply demonstrates. High quality indie rock which is melodic, catchy and flows beautifully. The video is a pleasing accompaniment, from a band that have clearly put so much energy and heart into their final work. Amy Rigby - From Philiproth. Background - Amy Rigby will be releasing her first solo album in a dozen years, The Old Guys, in the UK on 30 November. The album has already received ecstatic reviews in the US. After a few English dates in March 2018, Amy returns to the UK for a full solo tour in November. The Old Guys measures the weight of heroes, home; family, friends and time. Philip Roth and Bob Dylan, CD/cassette players, touring, the wisdom of age and Walter White, groupies, Robert Altman, egg creams, fellow musicians and mentors are paid tribute. Twelve songs written unmistakably by Amy and recorded by Wreckless Eric in upstate New York, The Old Guys is the sound of a good girl grown up, never giving up. Amy Rigby has made a life out of writing and singing about life. With bands Last Roundup and the Shams in eighties NYC East Village to her solo debut Diary Of A Mod Housewife out of nineties Williamsburg; through a songwriting career in 2000s Nashville and during the past decade with duo partner Wreckless Eric, she’s released records on visionary independent labels Rounder, Matador, Signature Sounds and reborn Stiff Records as well as her and Eric’s own Southern Domestic Recordings. Her songs have been covered by Laura Cantrell, Ronnie Spector, They Might Be Giants’ John Flansburgh and Maria Doyle Kennedy. For the last twenty years Amy has toured the US, Canada, UK and Europe, appearing on Fresh Air with Terry Gross, Late Night with Conan O’Brien, The Janice Forsyth and Tom Morton shows on BBC Scotland; Hello Goodbye on Resonance FM, and BBC Radio 6 Music’s Marc Riley Show. She lives with Wreckless Eric in New York State. 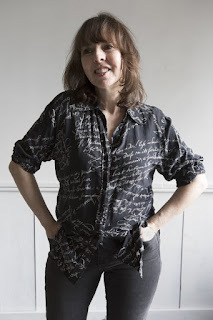 Her record “Dancing With Joey Ramone” is a staple of Little Steven’s Underground Garage radio show, and “Keep It To Yourself”’ (co-written with longtime MOJO contributor Bill DeMain) was recently the inspiration for a short story by renowned crime fiction writer John Harvey. Amy was featured on the Please Kill Me website (the home of Please Kill Me: the Uncensored Oral History of Punk by best-selling authors Legs McNeil and Gillian McCain). WEBSITE. Sun Nov 25 – Folkestone, Lime Bar Café. 'From Philiproth' is an uncomplicated rocker where a potent driving beat, some slacker guitar work makes for a natural backdrop for Amy Rigby's totally rock and roll vocals.